I’ve written several times about how much I enjoy the Bogleheads forum. While there’s a wide variety of investing-related discussion there, my favorite posts are the simple nuts and bolts ones in which an investor outlines his/her portfolio and other forum members give feedback. Is the overall asset allocation appropriate? 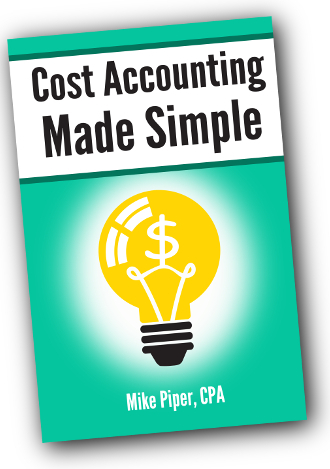 Are there any opportunities to cut costs (including taxes)? Are there any opportunities to simplify? When answering these three questions, it’s important to remember is that it’s all one portfolio. By implementing your desired asset allocation at the portfolio level (as opposed to in each individual account), you often create opportunities for cost savings and simplification. As we’ve discussed before, asset allocation is not a precise sort of thing (nor, for that matter, is the concept of risk tolerance, on which an investor’s allocation should be based). As a result, for a given investor, there are countless possible allocations that could be acceptable. So, for the most part, this step is just a quick check to make sure that there’s nothing that’s clearly wrong (such as a very large allocation to one individual stock or an extremely stock-heavy allocation when the investor has provided no information that would indicate that he/she has a super-high risk tolerance). When searching for cost saving opportunities, the first place to look is your 401(k). The reason to start here is that all your other accounts (that is, IRAs and regular brokerage accounts) can be held at your brokerage firm of choice, thereby giving you access to low-cost investments in each asset class in these accounts, whereas you don’t always have great options in a 401(k). …then we’d allocate the entire 401(k) to that U.S. stock fund, and then use the other accounts to fill in the other necessary portions of the desired allocation. In contrast, if we change the above example so that the investor’s 401(k) made up 40% of her total portfolio, then we would no longer want to allocate the entire 401(k) to the U.S. stock fund (because she only wants 30% of her portfolio in U.S. stocks). Instead, we’d allocate 3/4 of the 401(k) — or 30% of her total portfolio — to that fund in order to achieve her desired U.S. stock allocation. Then we would look for the next-lowest-cost fund in the plan and proceed from there. After doing everything possible to use low-cost investment choices, the next way to look for savings is to try to make things as tax-efficient as possible. The overall goal is to tax-shelter your least tax-efficient assets (REITs, high-yield bonds, and other taxable bonds) by putting them in your tax-sheltered accounts (IRA, 401(k), etc.) before tax-sheltering your more tax-efficient assets. For most index fund or ETF portfolios, the most tax-efficient asset class is international stocks, so if you only need to leave one asset class in a taxable account, that’s likely to be your best bet. The next step is to work to reduce the number of funds involved. In many cases this means using just 1 or 2 funds in each account, with the exception of one account (often the biggest one) in which you would hold each asset class and in which the necessary rebalancing would take place to keep the entire portfolio in line with the desired allocation. “I’m a little confused about exemptions. When you start a new job, you’re required to complete a W-4. Don’t you have the option to claim how many exemptions you want? For example, when I started my job a few years ago, I claimed “0” so that I’d get more taxes taken out and then get a refund at tax season (rather than possibly owe more at tax time). You’re confusing two separate concepts: exemptions and allowances. Exemptions are claimed on your Form 1040. They reduce your taxable income and, therefore, your income tax. You are allowed one exemption for yourself, one for your spouse, and one for each qualifying dependent. Allowances are claimed on Form W-4 — when you start a new job, for instance. Each allowance you claim reduces the amount of your income that is withheld for taxes. The point of Form W-4 is to help your employer estimate how much tax you’ll owe on the wages they pay to you, so that they can withhold the appropriate amount from your paychecks. The link between the two concepts is that the maximum number of allowances you can claim depends on (among other things) the number of exemptions you’re allowed to claim — though, if you want, you can choose to claim fewer allowances than the amount to which you’re entitled. In other words, choosing not to claim the maximum number of allowances on your W-4 will only increase the amount of income tax withheld from your paychecks. It will not have any effect on your ability to claim the appropriate number of exemptions on your Form 1040. What Can We Learn from Past Performance? When it comes to mutual funds, as we all know, past performance is not indicative of future results. But past performance can still be useful information. One of my favorite ways to use such data is to get a quick, first-glance look at how similar two funds are. For example, a reader recently asked about whether Fidelity Total Bond Fund (FTBFX) would be a suitable replacement for Vanguard Total Bond Market Index Fund (VBMFX) — he had wanted to use the Vanguard fund, but the Fidelity fund appeared to be the best bond fund available in his 401(k). The following chart (produced via Fidelity’s website — see the end of this article for instructions on making similar charts) shows us how an investment of $10,000 in each of the funds would have done over the last 10 years. Conclusion: They’re certainly not the same thing, but they don’t appear to be wildly different either. It’s at least close enough to merit further research (like comparing the funds’ holdings by looking up each fund on Morningstar and viewing the “portfolio” tab). Or what if your 401(k) had access to Vanguard’s Large-Cap Index Fund (VLACX), rather than a total stock market fund? The following chart compares the fund’s performance since inception to the performance of Vanguard Total Stock Market Index Fund (VTSMX) over the same period. Conclusion: “High correlation” would be an understatement. In terms of performance, these two funds are virtually identical — which makes sense, given the degree of overlap between the funds’ holdings. Or what if you’re feeling tempted to switch from a short-term treasury fund to a long-term treasury fund in order to grab a couple extra percentage points of yield, but you want to get a quick feel for how much additional risk you’d be taking on? The following chart compares the 10-year performance of Vanguard’s Short-Term Treasury Fund (VFISX) to that of Vanguard’s Long-Term Treasury Fund (VUSTX). Of course, the above past-performance-based comparisons come with some important caveats. First and most importantly, this is just a first-glance sort of analysis. Before investing in a fund, you’d want to actually take a look at its expenses and its portfolio makeup. Second, the more actively-managed a fund is, the less reliable this sort of comparison will be. For example, an actively managed stock fund could have performed very similarly to the S&P 500 in the past, but there’s no guarantee that would be the case going forward. Finally, for index funds, such comparisons become much less meaningful if the fund has switched the index it tracks over the course of the period in question — like Vanguard Total International Stock Index Fund, for example. And the same goes for “funds of funds” that have changed their composition (like the Vanguard LifeStrategy funds and Target Retirement funds). To make such charts on your own: Look up one fund on Morningstar’s website. Then click the “more” link in the top-right corner of the performance chart. Then you can add funds to the chart by entering the name or ticker symbol in the text field directly above the chart. Credit where credit is due: Boglehead forum member nisiprius has been using such visual comparisons in his posts for years. I’ve often found them to be quite enlightening, so I thought I’d share the idea with you. Back when I worked for Edward Jones, Nick Murray was a favorite author among advisors in my region. I agree that one of the most valuable services provided by an advisor is to help people refrain from panic selling after market declines. But I would argue that the first and most important step to achieving that goal is to help the investor find an allocation that’s a good fit for his/her risk tolerance so that there’s no panic in the first place. The the stuff inside your head (e.g., how comfortable you are with unpredictability, how much you worry about scary world news or economic news, how much stress it causes you if your portfolio drops by X%). When I first started writing this blog, I thought investors should actively work to increase their risk tolerance by changing the second item above. In essence, learn to care less about volatility so that you can have the higher expected returns that come with higher-risk allocations. For example, if I met a 20-something investor who expressed fear about investing his retirement savings in stocks, my approach would have been to explain to him that he doesn’t need to worry about market fluctuations because he’s so many years away from spending the money. Then I would have suggested that he use a stock-heavy asset allocation because of his young age. In the few years since, my view of the matter has changed dramatically. I now believe it’s a much better idea to understand and accept who you are. Forcing yourself into a high-risk portfolio is a dangerous proposition if you’re not truly comfortable with it to begin with. In other words, if I met a particularly risk-averse 20-something investor today, I would still explain that he doesn’t need to worry about market fluctuations from year to year. But I’d then suggest he use a fairly conservative allocation anyway, because the truth is, this investor probably will worry about market fluctuations, regardless of the fact that other people tell him not to. 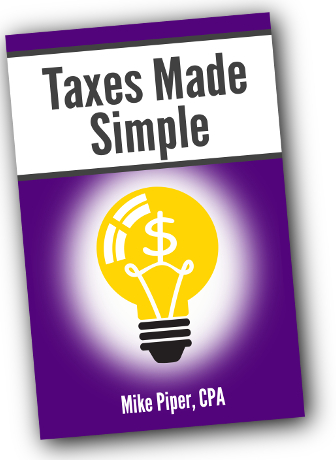 Most years, I update the three tax-related books in the “in 100 Pages or Less” series shortly after tax season ends. (So, for example, updates for 2012 will be started in the second half of April 2012, once the 2011 tax season has ended.) This past year, however, the CPA exam put me several months behind schedule, and I didn’t start book updates until September. As of last week though, all three tax books have been updated with 2011 info, just barely in time for the 2011 tax season. To kick tax season off, I thought I’d put each of the three books on sale for a couple days so that regular readers can get them at a reduced price. For some reason, Amazon has refused to link the old edition of the LLC vs. S-Corp vs. C-Corp book to the new edition, so there are no reviews on the book’s Amazon page at the moment. If you purchase the book and end up finding it helpful, I’d be super appreciative if you took a few minutes to write a brief 2-3 sentence review explaining why you liked it.